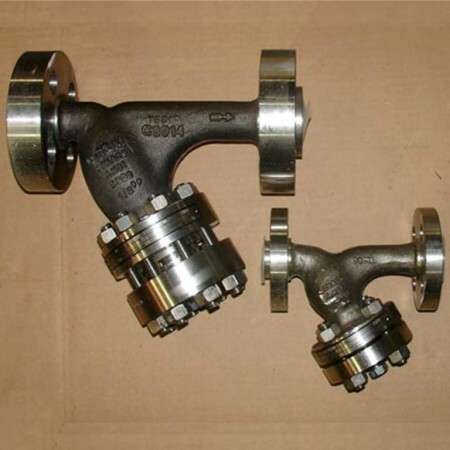 As the name suggests, Temporary strainer is used in a pipeline for a short time during activities such as commissioning or start up of a pipeline system. They are made using perforated steel plates and lined with suitable woven mesh. For high-pressure application, horizontal and vertical reinforcement bars can also be provided for additional strength. 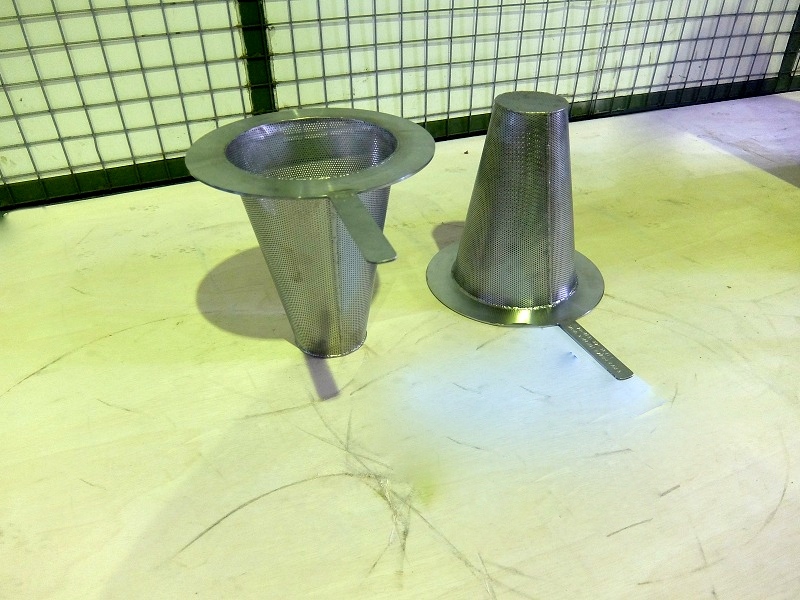 At Infinity Industrial Supplies, we supply three styles of temporary strainer. They are the Conical temporary strainer or the Witch Hat type, Basket type and Plate type. 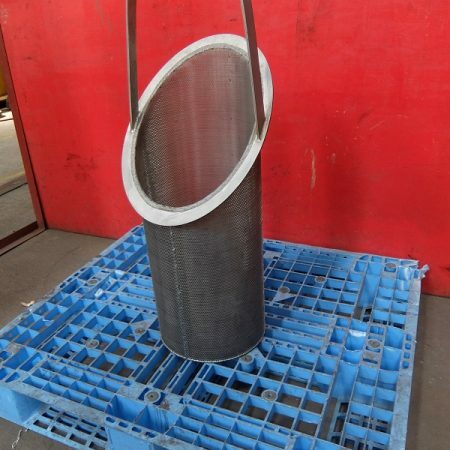 Temporary strainers can be used for both liquid or gas application however the installation and lining on the mesh depends on the nature of the fluid. As a thumb rule, the first point of contact for the fluid must be the mesh and not the perforation. Hence flow for liquid must be from in to out with the mesh lined on the inside and for gas flow must be from out to in with the mesh lined on the outer side of the perforation. 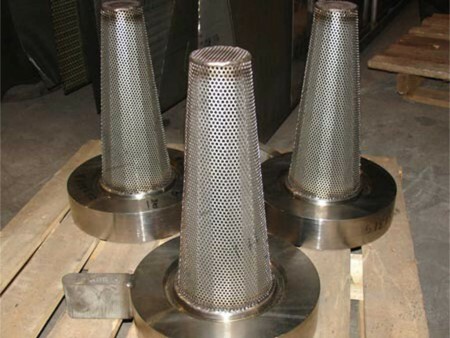 Temporary strainers can be fabricated in various stainless grades such as SS304, SS316, SS316L, Duplex Stainless, Super Duplex Stainless, Titanium and Hastelloy C276. Temporary strainers supplied by Infinity Industrial Supplies have pressure class ranging from ANSI Class 150 up to ANSI Class 2500. Temporary strainers have an open area range from 100% to 300%. To increase the open area with he same filtration level, the length of the cone is increased. In short, longer the cone, higher the open area or filtration area. 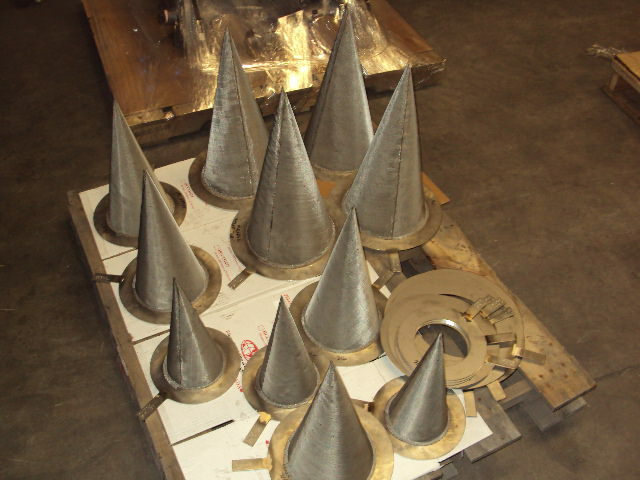 Longer cone may at times not fit in a crowded pipeline and hence a basket type temporary strainer can achieve the same open area as a conical type with shorter length. All temporary strainers supplied by Infinity Industrial Supplies have the tag number hard stamped on the handle. 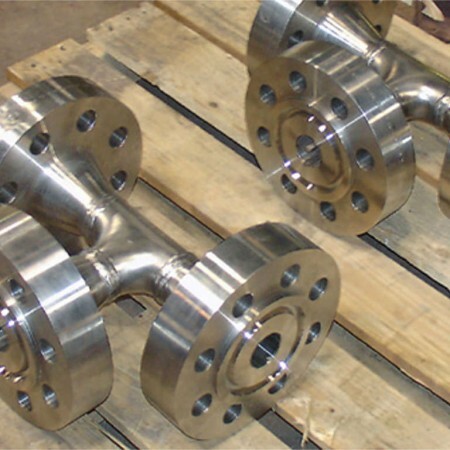 Spacer rings needs to be installed in the pipeline once the temporary strainers have been removed. We also supply these spacer rings and it is recommended to purchase along with the temporary strainer.